I recently bought a new dark tile and couldn’t wait to try it out for food photography, hence these unnecessarily moody shots! 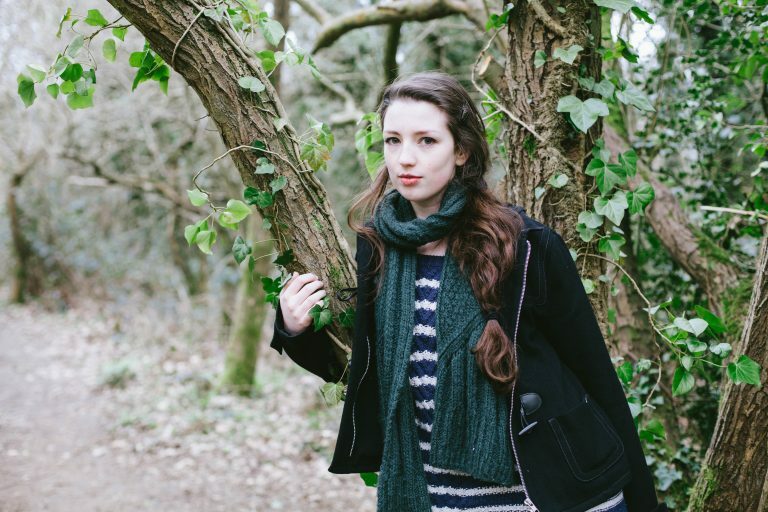 I’m usually drawn to light and airy photography (as you might have noticed) but would love to practise my dark & moody shots more so expect to see a few darker shots in my upcoming posts! This recipe has been a long time coming. 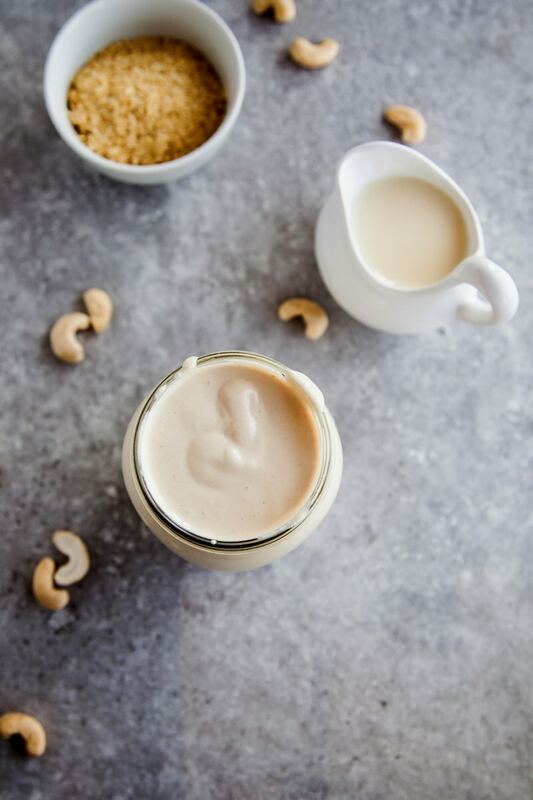 I make this cashew cheese sauce all the time and have done for years – I can’t believe it’s taken me this long to blog it! As I said, I use this sauce all the time. 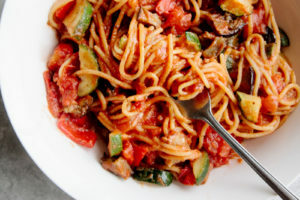 On pasta, on pizzas, in risottos, drizzled over potatoes or vegetables, burritos and more. It’s SO delicious. I remember when I first tried it years ago, before I was vegan, I wasn’t expecting to like it at all. I was a very fussy eater and was only just starting to experiment with free-from foods so wasn’t expecting something made from cashews to be a good substitute for cheese. But I was shocked at how delicious and cheesy it was! I remember I said “oh my god” out loud and proceeded to eat it by the spoonful. So definitely don’t knock it before you try it! And don’t be put off if you’ve not heard of a couple of these ingredients because I promise you they’re not that expensive or hard to find. Your local health food shop will more than likely stock nutritional yeast and you can find miso paste in your local Asian supermarket or the world food aisle at the general supermarket. The rest can be found at any supermarket! I recommend soaking the cashews overnight or a few hours before hand but if you have a high powered blender, such as The Optimum G2.1, then you can get away with using them without soaking first. Use this cheese sauce on your pasta, on your toast or on a pizza! A delicious dairy-free cheese sauce, perfect for pastas, pizzas and more! Feel free to halve the recipe if you want a smaller portion. Drain the cashews and discard the water they were soaked in. 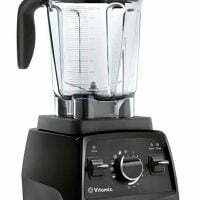 Add to a high-powered blender along with the rest of the ingredients and blend until smooth. Add more almond milk, if needed to create the desired consistency. I like it when it's thick but runs off the spoon. Use straight away or add to a container and store in the fridge for up to 3 days. 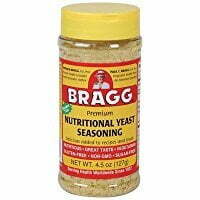 *Nutritional yeast is a deactivated yeast with a natural cheesy flavour. You can find it in most health food shops or online and it's not expensive. **White miso paste really helps give that fermented cheese flavour. It can be found in health food shops or Asian supermarkets. I buy mine from my local supermarket in the Asian food aisle. You can use brown miso instead, if you wish. I made this I just tweaked the recipe a little bit.. I didn't use Miss and I used garlic salt with dehydrated garlic granules in it good karma plus flax seed milk and it really ramped up the protein delicious..!! This is our go to cheese sauce recipe. It goes perfectly as a white sauce on lasagna. Soooooo yummy and creamy! Thanks Yasmin! So glad to hear you're enjoying the recipe. LOVED this. My sister-in-law and niece made this for me when I was at their house for dinner and it was AMAZING. I couldn't stop eating. Can't wait to make this again. Yay, so glad you liked it Tammy! It's so addictive, isn't it? I think I already commented here, but I just made this for the second time, and it was somehow even better than the first time. I heated up the almond milk and added 1tsp of mushroom base (better than bullion) for the sauce. I left out the nutmeg (because I didn’t have any), but I otherwise followed the recipe. I sautéed half a yellow onion with 8oz carton of chopped baby Bella mushrooms and a few cloves of garlic. I cooked this mixture down for about 15 minutes. I cooked 1lb of fettucini (linguine preferred!) and reserved about 1/3 cup of the pasta water. I added the mushroom mixture to the cooked noodles and added the sauce. I added the reserved pasta water which helped to keep it from drying out (like it did before) and it turned out SO creamy. Best meal I’ve made to date. Thank you for this sauce! It’s a staple in our vegan home. Tried this tonight and put it on a moussaka I loved it. Next time I will add more fluid, but the taste was amazing. Is this freezable, or will it separate or be bitter, like you mentioned it would be after too long in the fridge? why dies it only lasts 3 days? Unfortunately, because of the soaked cashews, it will separate and become bitter after that time. I tend to make smaller batches now because of this. I love how versatile this sauce is! One time, I added rotel and made it a Queso. The next, it was an amazing Alfredo! I didn’t have miso and added a little extra nutritional yeast just because! Love it!! Is there a way to make this "cheese" more of a shredded mozzerrella consistency for pizza and lasagna? Does it "brown" well in the oven? Thanks! This is super yummy!! I did have miso, so didn't add it it. Added a squeeze of lemon juice and it was beautiful!! I used this as a Mac n Cheese sauce...and it was amazing my toddler had 2 helpings and so did my father-in-law. I will definitely be making this again and again. I didn't have mustard powder so I just used regular mustard instead. I used coconut milk and added a little bit of Daiya Mozzarella Cheese and it was awesome for Mac n Cheese. 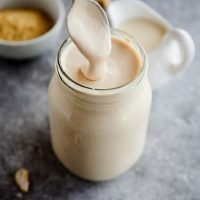 I have passed this recipe on to another friend that can't have dairy, they are excited to try it. Thanks so much for posting this! I don't have a scale to weigh the ingredients (I can't be the only one?! ), could someone tell me what quantity this would be in ml or cups? As long as they are raw and unsalted/unflavoured, then yes! I attempted to replicate the old velvetta/rotel dip and it tasted great with the texture gained by having the tomatoes in it. This whole recipe tastes great in general regardless of what additions you make I am very sure. I strained 2 cans of rotel to get the fluid instead of milk. I strained it well so that I could add the tomatoes and chili’s back in after it was blended and I didn’t want too much fluid still left in the tomatoes when I added them. The only other changes I made was that I used chickpea miso instead of white miso because we are trying to not eat soy where we can. Also, I only had the powdered granulated nutritional yeast and not the flakes so I lowered it to 1/3 cup since she said to put a little less since I wasn’t sure what a “little less” was. I do think the miso is probably a must in my opinion in order to give it that “cheesy” taste. My Whole Foods has all the various types. But honestly I have not tried it without. Furthermore, I haven’t tasted it yet with the milk like the recipe calls but I know I will eventually when I happen to not have any canned rotel on hand. But either way, my son, who is now 90% vegan, loved this and ate a single recipe in one day so next time I will double it lol. This is SO GOOD!!! I love cashew milk, so I knew I had to try this. I did not add the non dairy milk, but I added 1 large steamed carrot to give it a little more cheesy color. The second time I tried it I added one can of well rinsed black beans and one half cup of salsa and served it with Juanita's Tortilla Chips and it was a hit! Even my very picky husband ate it and loved it. I want to make this as a part of a group of snacks on Sunday is why I ask? I haven’t tasted cashew cheese by itself before so I didn’t know if I could simulate the rotel dip or not? Do you think I could use Rotel tomatoes (or the juice from a can of Rotel tomatoes strained) instead of the dairy free milk in order to make it similar (I know cheese wise it won’t be really that similar) to the old velvetta/rotel dip? I could add the actual tomatoes from the canned strained rotel tomatoes back in after it is blended I guess. The only reason I ask is I see a lot of cashew cheese sauce recipes with water instead of dairy free milk. Or do you think it just won’t work or taste good? My son has gone vegan also but misses the velvetta/rotel dip at certain events and wanted to try cashew cheese dip as a substitute. Also, we have all the various types of miso at our Whole Foods. We are trying to avoid soy or minimize it so do you think the chickpea miso would work fine for the white miso or no? I think I read it is a little stronger maybe than white miso though. I just think miso is a good idea if it helps simulate the cheesy taste. I have a lot of trouble with garlic. Any substitutions? Thanks! I have a lot of trouble with garlic. Any substitutions? Just made this and it's the cheesiest vegan thing I've ever tried! Am in the middle of veganuary and this is the perfect treat! would coconut aminos work in place of miso? I have autoimmune thyroid disease and I'm not supposed to have soy. Michelle, the chickpea miso I used instead of white miso is soy free if you are able to find it. My mom is a vegetarian, so the holidays are tricky when trying to make traditional meals with veggie-friendly options. I used this recipe as a replacement for gravy - and it was a delicious hit! It was a delicious addition to the Thanksgiving menu and definitely a keeper - vegetarian or not! Makes me so happy to hear that, thanks Erica! 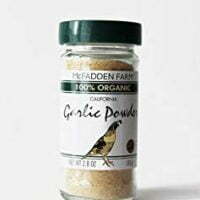 I use this instead of gravy sometimes too, it's addictive stuff. I cannot wait to try this. there are not a ton of vegan options yet. I pack my lunch and dinner to take with me to work. I wondered how long this is good for? could i make two jars and store them. thanks for you're awesome blog! supa cool! The consistency of this was perfect. I wasn't able to find miso, but it was still good. On a lark I mixed in red sauce to make a pink one and it was perfection. I will make again with miso, but this is going in the recipe book. Thank you! Keep coming back to this one. I'm trying to be better about leaving comments to thank the bloggers that work so hard to keep me fed, fit, and healthy! Thanks for posting! And we appreciate it, Emily! Honestly, it always makes my day to hear someone enjoying my recipes :) Thank you! Alright, THIS is cheesey deliciousness!!! It is hands down the best vegan cheese sauce I’ve made yet. The miso is a brilliant addition - I’m delighted to have finally found a recipe that is delicious, easy to make and Animal friendly. Thank you!! Woooo! Makes me so happy to read comments like this :) Thanks Leah! My cheese tastes sweet. I used unsweetened soymilk. No miso. Any suggestions???? Check the box of alternative milk and see if it has vanilla flavor in it. I've run into that issue a few times. 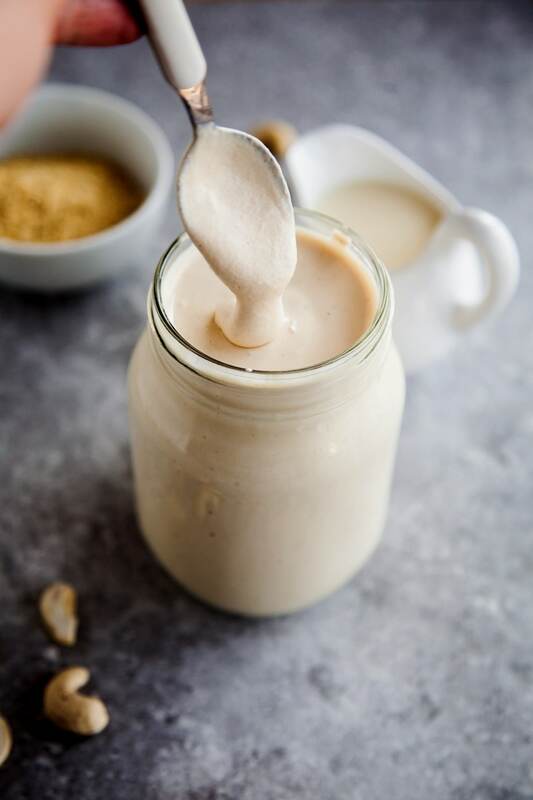 Hemp milk has it and so does some cashew milk. Almond seems to have it less frequently but I've screwed up MANY different savory "milk" dishes by grabbing the wrong milk outta the fridge. I actually came onto her page off of Pinterest to specifically look at her link for which milk she used to avoid that very problem. Can you use a food processor to make this or only a blender ? A food processor will result in a grainy or lump sauce so it's best to use a blender, if you can! Honestly, I'm not sure how well that would work. The flavour would be a lot stronger and more nutty. I'm sure it would be a delicious sauce in it's own right but probably a lot less "cheesy". Peanut allergy must be so difficult to deal with, sorry you can't find more allergy-friendly options :-( Let me know if you try this anyway! Like I say, it could still be delicious. Do you think that you could use this sauce to make vegan cauliflower cheese? Is it the right consistency? I just read a similar recipe for cauliflower cheese, so I'm sure it would work. I just made this and it is absolutely AMAZING!!! honestly taste like a perfect cheese sauce! I just started no dairy diet and I wish i made more of this sauce, but I think tomorrow I'm going too! its perfect!! can't wait to put it on my brown rice noodles with chicken and broccoli! Can I boil the cashews for roughly 10 minutes and get the same result as soaking them overnight? Also, would heating this in a saucepan on low heat disrupt the flavor at all? Hi Lindsey, you can do that - I do that too sometimes if I'm short on time. I think it *can* disrupt the flavour slightly, when the cashews are cooked, but even just soaking them in warm water (not boiling) will help speed things along. OMG! This recipe is beyond amazing! I subbed canned coconut milk, for almond and I added about a half teaspoon of liquid smoke, to give a smoky background. It was delicious in my vegan, oil free broccoli alfredo. I had left overs for lunch, and the sauce became even better! It is nearly indiscernable from your shelf alfredo sauce. So thick and creamy! Do you think raw almonds with the skins removed could be used in place of cashews? My husband has a cashew allergy. Thanks! Yes, almonds will work too (skins removed) but the flavour will be a bit different. I've not tried it personally but I'm sure it will still be delicious :-) Let me know how you get on! Hi Ramona, nutritional yeast is very different to ordinary yeast. It's deactivated and lends a very different flavour and texture. You can either buy it online or in a specialised health food shop. Try Amazon, if that's available to you :-) You can also try leaving it out for a slightly less cheesy but still tasty sauce! Hi Aimee, Do you think I could freeze it ? Love your recipe and will introduce it in my vege burger. I made this sauce today and it was a big success. It turned out much better than I expected. So tasty and creamy without being heavy. Both my husband and my father loved it. Thanks for posting it. I am hoping this will work well in a pasta casserole. I will let you know since that's the menu tonight! That sounds delicious, how did it work out? I absolutely love this sauce! The nutritional yeast really makes the flavor. I didn't use the mustard. Thank you for the recipe. Hi, I don't have mustard powder. Can I use mustard instead? If so, how much? Love your recipes! I just made this and omg!!! It's amazing! I'm eating a bowl of rice pasta with broccoli and your cheese sauce. Delicious!! So happy you enjoyed it, Sofia! It's sooooooo good with pasta. My favourite way to eat it at the moment is with some tomato pasta sauce for a cheesy tomato dish. To die for. I tried the recipie but I didn't have any miso. It was good anyways. Looking forward to trying it on pasta tomorrow. So pleased you enjoyed it, Camela! It's SO addictive, isn't it? Hi! This looks great. Sorry if it's a daft question but does this recipe qualifies as raw by any chance? Thanks! Hi Joanna, yes this is raw! The only thing that wouldn't be strictly raw is the miso. I don't mind if it's not cheesy. Away to give it a bash anyway. Thank you! What would be your suggestion for a substitute for the almond milk? I'm also allergic to almonds. I made this today to go with a Mexican casserole. I used the powdered spices and although I didn't soak my cashews, I followed the ingredients and measurements exactly. This turned out really yummy and richly flavored! 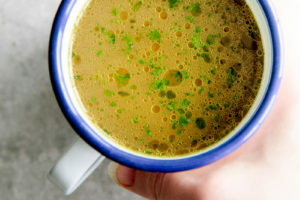 If you have a Vitamix or one of a similar quality, I think you can get away without soaking in this particular application, which makes this a possibility on the day OF the meal, vs. planning the day before. Mine was completely creamy and gorgeous. Thanks for the great recipe. Can't wait to try this - thank you! Looks awesome! This is a good, versatile recipe. Bookmarking! I use a lot of cashews in my vegan cooking, and I found a really good price on them at bulk. I buy larger quantities and keep them in the fridge (buy the pieces, not the whole cashews, they are cheaper and they work just as well). 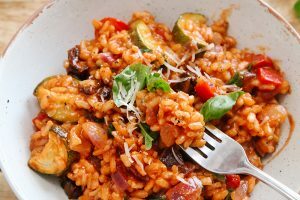 Thank you for this recipe, i shared it with the vegan support email list that serves the South Bay area of Los Angeles (South Bay Plant Strong). Included a link to your site, of course. where did you find the good price on them in bulk? These photos! I love the new background! I love all your pictures, you are a pro with the camera. I've been wanting a grey background like this, is it just like a flooring tile or where did you find this? And this cheesy goodness <3 I just want to dip everything in here, it looks so dreamy! Miso is a wonderful addition, but the nutmeg is really surprising. I'll have to try that one. 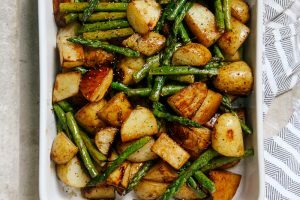 Mmmm on potatoes sounds delicious :) Gotta love these simple staple recipes! Thank you Natalie! I always admire your photography, it's always crystal clear and beautiful! Yes, I went into a tile shop and it was basically food photography heaven. I came across a couple I wanted but had to restrain myself and just went for this grey mottled one and a black one. You need to take a trip to your nearest tile shop ;-) And yes - nutmeg takes it to the next level! I decided to add it after making a bechamel sauce, which always uses nutmeg and has a naturally cheesy flavour. It really works with the sauce. Thanks Rebecca! It's good on almost anything savoury! My new favourite way to use it is on patatas bravas. SO GOOD. Ahh, yes, I totally understand the feeling when getting a new background! Every time I get one, I immediately have to use it! :D I've also never made vegan cheese sauce with cashews... will have to change that soon! Cashews have been a total revelation to me as I've explored vegan food for me and my boy - they're little miracles! 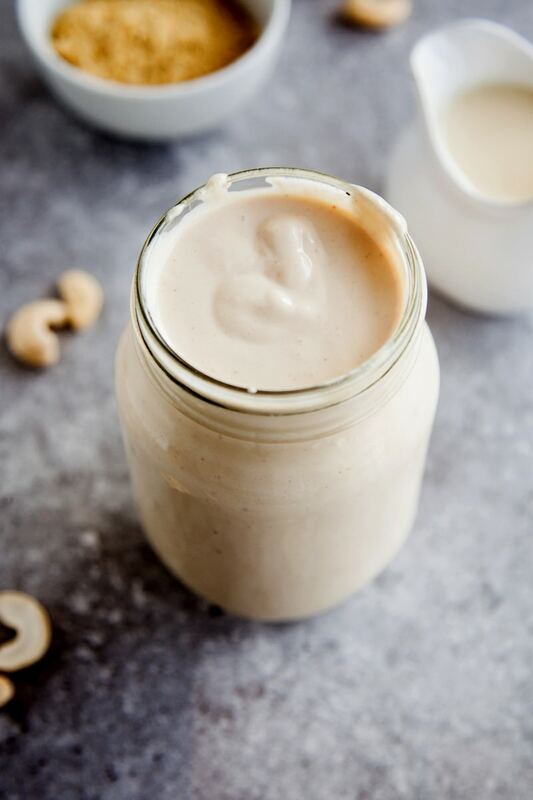 Loving the moody pic, offsets the creamy cashews very well! 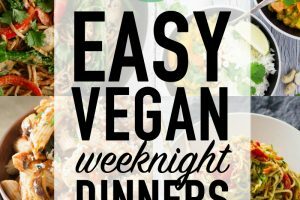 cashews, chickpeas and coconuts - the three C's that make vegan life so much easier! !